We understand that choosing the right care home is an important decision, which is why we’ve made life in our care homes as unique as our residents. We tailor our care around your loved ones’ needs, everything from the meals they like, activities they enjoy and their preferred bedtime. Moving into a care home is a big change in your loved one’s life, which is why we want to make it as smooth and enjoyable as possible. Find out how to prepare for their moving in day, what they may want to bring and how we will help them settle into their new home. Furniture - space permitting, they are welcome to bring small items of their own furniture with them. Have a chat with the care home manager before they move in to check if it will fit first. Clothing - each of our care homes has a laundry service. We wash clothes at a minimum temperature of 40°C. We know that some delicate items may have special washing instructions so we would suggest family and friends help by washing these, or taking them to the dry cleaners. Some of our homes also have laundry facilities which residents are welcome to use themselves. Electrical appliances - we welcome residents to bring their own TV (and TV license) for their room and other electrical appliances too. For their own safety we will make sure these items are fully tested (for free). All of our rooms are heated so there’s no need to worry about bringing electrical fires or fan heaters. Mobility aids - if a resident has their own wheelchair we're happy for them to bring it with them. Some Primary Care Trusts supply wheelchairs to residents who need them. Mobile scooters aren't practical to use inside our care homes but your loved one can use them to enjoy the grounds. Speak to the care home manager about storing scooters. Pets - some of our care homes allow small pets. Check with the home's manager if your loved one would like to bring their pet with them when they move in. A number of our homes also welcome in small animals as part of ‘Pets as Therapy’ activities. As you would do at home, we recommend that you organise personal belongings’ insurance for your loved one so any items of value are covered. When your loved one first arrives they’ll meet their key carer, who will give them a guided tour of their new home. They will also tell them about meal times and activities and introduce them to some of the other residents and members of staff. Once they have unpacked, their key carer will spend time getting to know them and show them how to use the 24-hour call system should they need assistance anytime of the day or night. 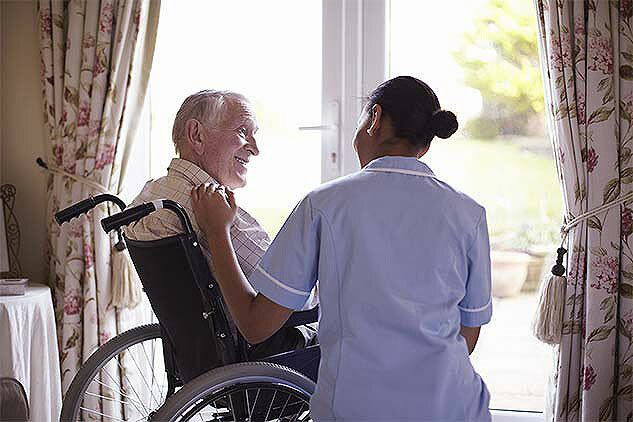 Our night duty staff will have already been told what time your loved one likes to go to bed and wake up, so they can relax and take time to get to know their new home. If they have any questions, our staff will be happy to answer them. "All staff are fantastic, kind, caring and warm. I really enjoyed my day at Cadbury’s World with the activities girls. Never thought I’d be going to a chocolate factory when I was in my 80s." Mealtimes are an important part of daily life in our homes. Our chefs carefully select a different menu for each day of the week, ensuring our residents enjoy a variety of delicious dishes. Our homes have four-weekly menu cycles, which are changed at least twice a year. We also hold monthly themed food days – often in-line with our events. We are used to catering for a variety of dietary needs. So whether your loved one is a vegetarian, vegan or on a medically-advised diet to manage a health condition our chefs will work hard to satisfy their needs. We also cater for religious diets and specific cultural cuisines. Shortly after residents move in, we’ll chat to them about their needs and put together a menu based on their tastes and preferences. We serve tea and coffee with all our meals and throughout the day. Cold drinks are also available and fresh water is placed in your bedroom every day. Wine, beer and sherry are usually offered with our evening meals, and some of our homes have bars that serve alcoholic drinks. Our residents are welcome to sit and enjoy a drink with their visitors. We’re also happy for our residents to bring alcoholic drinks into any of our homes, as long as there isn’t a medical reason why alcohol should be avoided. Each care home has its own smoking policy. The care home manager will explain what facilities are available for residents who smoke. "Friendly and caring staff, good food, staff go out of their way to make you feel as if you are living in your own home." Every one of our homes has its own Activity Co-ordinator. They, along with other care staff, will organise a range of activities for your loved one to take part in, whether they want to continue pursuing a lifelong interest or discover new ones. All activities in our care homes are inspired by our residents and our staff are simply there to offer support and encouragement. We want life in our homes to be as active and engaging as our residents want it to be. Clubs, special events and trips out are tailor-made to our residents. They can join in when they choose and so can you and your family. If your loved one already has a hobby there’s no need for them to lose interest. 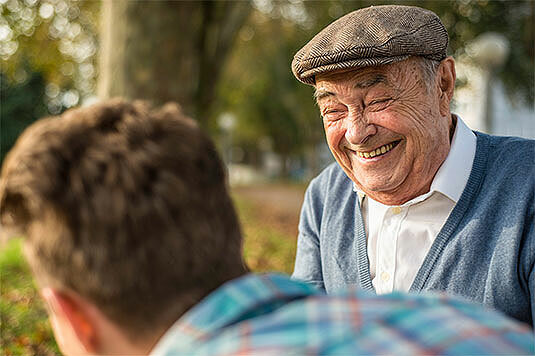 A common interest with other residents could inspire them to join a club, or even start one. Our groups and clubs range from exercise to gardening and knitting to singing. They’re a wonderful way to bring together with shared interests – and residents can join as many as they like. Clubs are often founded by residents, who then go on to enjoy running them and welcoming other residents who want to join. Care home staff join in with club activities and support residents of all abilities and mobility to take part in the fun. From day one, our activity co-ordinators and carers spend time getting to know the things our residents like to do. They’ll help them keep up with the things they love – whether it is potting in the garden, listening to music or just collecting the daily newspaper. You can keep in touch with your loved one as often as you wish, by visiting, telephoning or by email. Our residents have telephone points in their room, so if they bring their own phone you can call them directly. If they don’t have their own phone, we’re always happy to pass on a message for you. If you prefer, you can email us and we can print out and pass on your message, or read it out for you – just make sure you let us know the name of your loved one and the home they live in when completing our email form. You’re welcome to visit our care homes around the clock. However, if possible try to plan your visits around your loved one’s daily routine. It’s a good idea to avoid times when they like to rest or sleep, when they will be eating, and when they’re receiving specific therapies or treatment. If you can, choose a time of day (or night) when you know they’ll be awake and feeling their best. If they enjoy a particular activity, we’d be delighted for you to come in and take part in it with them. You’re also welcome to join them for a meal for a small cost. Our charitable partnerships help enhance the lives of our residents and relatives, by forging strong links with local schools, charities, businesses and individuals – putting our homes and residents at the heart of their local communities. Carers UK - providing support to around six million informal carers. Royal Society for the Protection of Birds - training our staff to turn the grounds of our homes into better habitats for a range of wildlife. The Reader Organisation - helping residents share books together at weekly groups in a number of our homes. Music in Hospital - producing live musical performances for thousands of older people over the past two decades they've worked with Bupa. Diabetes UK - working to raise over £1million to increase awareness of Type 2 diabetes and help identify people with the condition. We often base activities and events around our charitable partnerships, helping to bring generations of people together from all parts of the community and raising awareness of the work the charities do. We also hold awareness seminars, with experts giving information on subjects like dementia care, financial planning and understanding how care is paid for. Getting involved with local schools gives our residents the chance to interact with and talk to children of all ages. It is a rewarding experience for old and young alike. We organise trips into the community so that residents can visit local places of interest like stately homes, open gardens, museums and places of beauty. Relatives are also welcome to take a loved one out if their condition allows.